Traveling to Myanmar, formerly known as Burma, is really popular on the Southeast Asia travel trail nowadays. Over the last decade, Myanmar slowly opened its doors to tourism but there are still many challenges that travelers in Myanmar encounter more compared to other countries in the region. 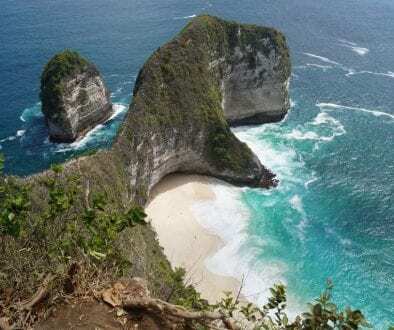 The improved infrastructure is beginning to significantly improve the tourism of the country but you should still be prepared for daily frustrations. Maintaining your patience is important but it will be worth it because of the rewarding experience of temple landscapes, unspoiled nature and sealed culture you will get from traveling in Myanmar. Be prepared for it and don’t believe everything you read about the ridiculous expense and immense difficulties you read on the internet. With that being said, here are some expert-picked tips to help you plan your holiday in Myanmar! For many people, Myanmar is best to visit in the dry season which lasts from November to April. This high tourism season allows you to enjoy the dry, cool weather. 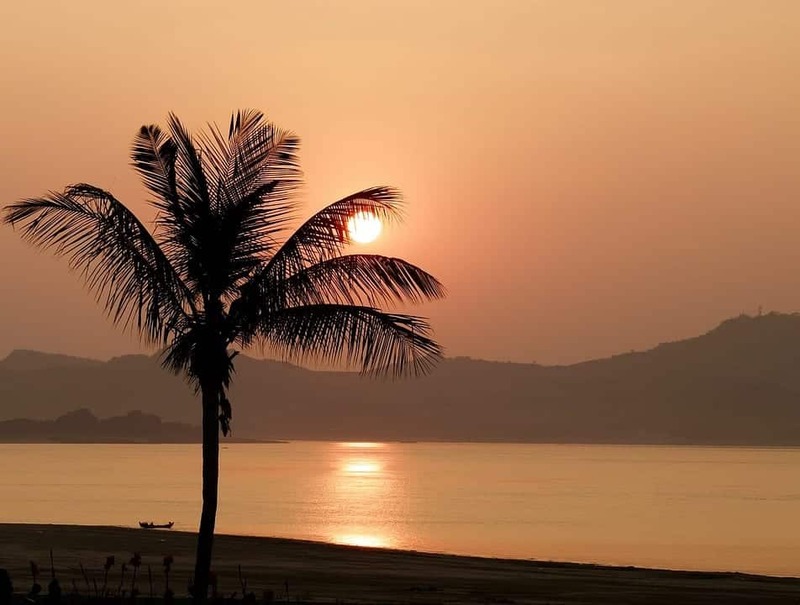 If you want to benefit from both weather and money value, it is advisable to travel to Myanmar in the shoulder season which is April- May, and October-November. There may be little rain but in general, the weather is comparatively fine and there is a flow of promotion for hotels and services. The government of Myanmar introduced an online system for Evisa back in 2015. There is no need to visit a Myanmar Embassy to apply, you can simply submit your information and get a visa on arrival for the price of $50. Though the number of hotels and resorts are bigger than it was before, at a certain time of the year, it is still hard to find a room if you expect a comfortable stay. If you travel independently, go online for at least a hotel booking to ensure your arrangement. Online booking tools available now range from airport pick up to luxurious river journeys. 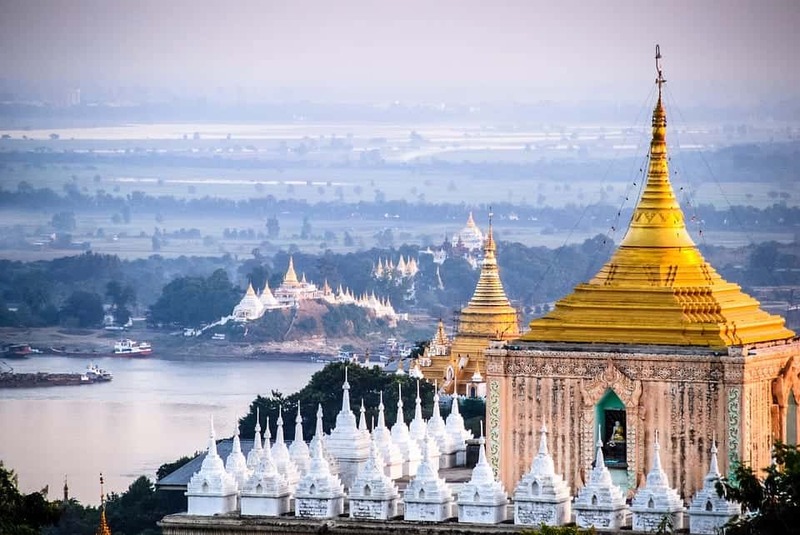 When it comes to the idea of how much money you should spend on a holiday in Myanmar, the first thing you should note is that Myanmar is not cheap, like other countries in Southeast Asia. Compared to Thailand or Vietnam, Myanmar is actually more expensive. Another thing about money is service providers prefer cash rather than credit cards although there are a lot more ATMs across the country nowadays. However, remember that if you use ATM, the operation fee is as high as 5-6% of the transaction. First-time visitors tend to explore the most highlighted must-sees of the country. In this case, they are 5 famous places including Yangon, Bagan, Mandalay, Inle Lake, and Ngapali beach. This places are touristy but can still be covered without breaking the bank. 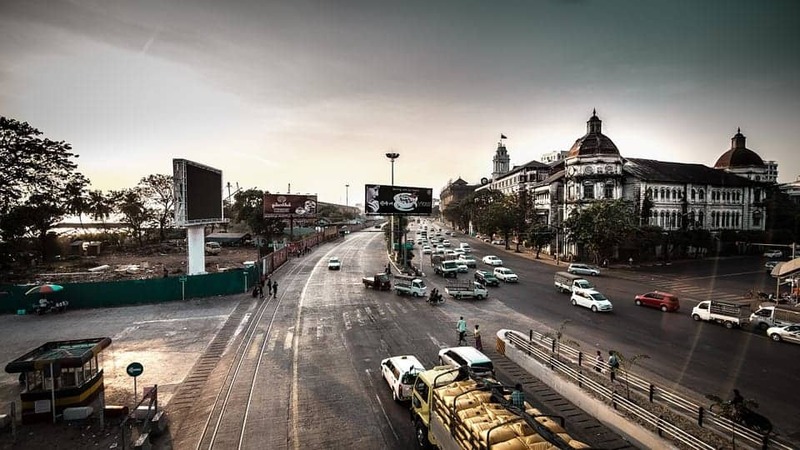 Check out this article to see how to travel Yangon on a budget. However, if you like getting off the beaten track and avoiding touristy areas, you would like to make your itinerary more extraordinary. Firstly, spend some time to check out other travel blogs. This is one of many good ways to learn about the experiences you should not miss. Alternatively, you can post questions on travel forums like Trip Advisor or Lonely Planet. There are many travel experts who see the country from time to time and they can deliver precious advice on crafting a Myanmar itinerary. You can also browse for itineraries online. Every year, Myanmar travel agencies design new tours to attract more visitors to the country. Accordingly, new experiences are more visible on their websites than a tourist guide channel. This is a perfect way to keep up with the travel trends in Myanmar. Also, read about the most common tourist scams in Southeast Asia. Amongst all the splendid landscapes of Myanmar, Bagan is probably the most prominent. It is studded by over 2,200 pagodas and temples remaining from the 11th century. This magical plain offers endless photographic chances you may never have before. 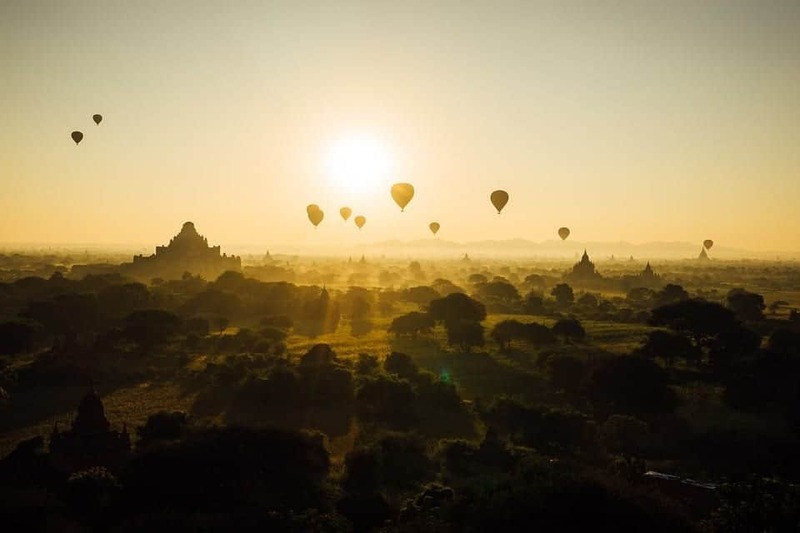 You can travel around Bagan by electric bike, car, foot or even by the stunning Balloon flight. 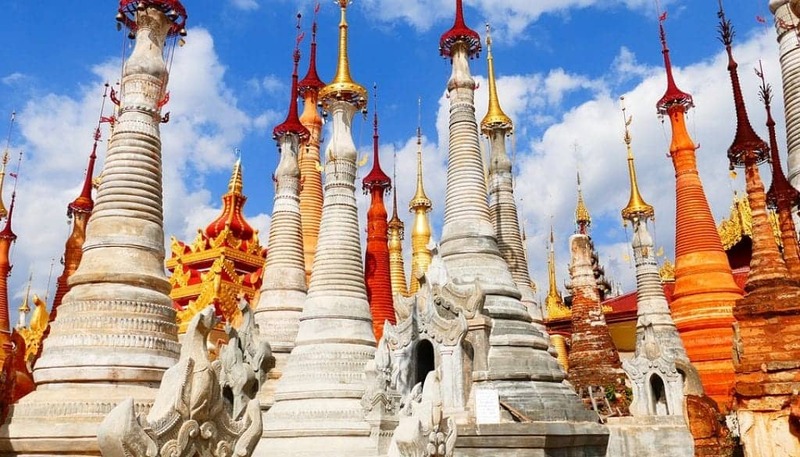 Note that it is one of the most touristy places in Myanmar but it’s still worth visiting. Related resource: Check out this article for more information on traveling to Bagan with kids. This is probably the hottest travel destination in Myanmar for 2018. Mergui is home to 800 intact islands sharing the border with the azure waters of Phuket, Thailand. It was once off-the-beaten-track but nowadays it’s becoming one of the most attractive places in Myanmar. Before 2012, Mergui was very expensive mainly due to the limited transportation options. A trip for 5 days used to cost up to $1200 per person! However, since there has been an increase in the services provided in the area, the prices dropped too, making Mergui affordable for budget travelers as well. Related: visiting Penang, the Pearl of the Orient. The Burmese New Year which is held in April is a wonderful chance to be tempted by local hospitality. During the two weeks of this water festival, you will have a lot of opportunities to witness colorful Buddhism rituals, dancing in the streets, and you will be able to mingle with locals and throw water on each other. This is believed to wash-off your bad luck. Myanmar people are very helpful and polite and you should also respect their culture and traditions and learn a few things about it before you visit. Apart from an international travel behavior with a respect for nature, when you travel to Myanmar, there are also some dos and don’t you should keep in mind. Tuck away your feet when sitting and don’t point at anyone. Don’t disturb people when they meditate and wear decent clothes when visiting religious sites. Don’t touch anyone on their head and respect the people of Myanmar and their traditions. If you’re visiting a village inhabited with ethnic minorities, learn more about their religions and customs. Finally, participate in local festivals. The locals will be delighted to see foreigners showing interest in their culture. The very first reason why you should use a local tour operator is their insightful knowledge. They know their country and their people more than anyone else. By supporting local tour operators you will contribute to the country`s sustainable tourism. If you want to try one of them, check out Myanmar Tour for further references. The truth about riding elephants and why I will never ride an elephant again Which are the most common national tourist stereotypes and how true are they? Useful tips on visiting Myanmar. Especially on the visas. Makes life easier when you have that. I definitely have Bagan on my list. Any tips on how to get to Bagan from Yangon. Is it very far and what would be the best mode of transport for it? Great article. We had visited Myanmar back in 2013 and looked at visiting Mergui but it was just too hard. Glad to see it is now easier to get to. Myanmar is a great country to visit. The people are welcoming and so friendly. Yes, you’re right- it used to be relatively hard to reach Mergui before but nowadays it’s turning into a major tourist attraction. Excellent guide for Myanmar! I’m hoping to go there someday. It seems absolutely stunning. I didn’t know you need a visa to enter the country, so that’s very useful information. How interesting that the Burmese New Year is celebrated in April. I’ll add Bagan to the list too. Thank you Anda and I hope you get to visit Myanmar someday. Thanks for the very informative post. I think what puzzled me the most is to learn that compared to Thailand or Vietnam, Myanmar is more expensive. Although I was in Thailand and I didn’t think everything was that cheap (the tours I did were all over $200 each) so after a while of traveling and doing tours every day it racks up. How would you say prices are for tours and activities in Myanmar? Honestly, I don’t have much experience with tours as I DIY most of the time or negotiate complimentary tours but I think these tours are relatively expensive everywhere. However, in my opinion, Thailand is cheaper and much easier to get around because of the superb tourist infrastructure which Myanmar still doesn’t have, unfortunately. I have been reading a lot lately about Myanmar but really haven’t been able to make up my mind about visiting the country. If I do go, Bagan will have to be included in my list of places to visit. Researching about the culture of a place, the DOs and Don’ts is something I always do, and also create a unique itinerary after reading a lot of blog posts so I’m pretty sure if and when I plan a trip to Myanmar, I’ll do the same! I am surprised to know it is more expensive than Thailand and Vietnam. Also, good to know they prefer cash as mode of payment rather than credit card! Thank you, Medha- I hope you get the chance to visit soon. I have no doubt that you’ll have a great time in Myanmar. Bagan looks incredible. I always wondered in places like in Bagan or Cappadocia, are the hot air balloons always going on, or is that some kind of festival that only happens a few times a year? Anyway, beautiful article and pics! 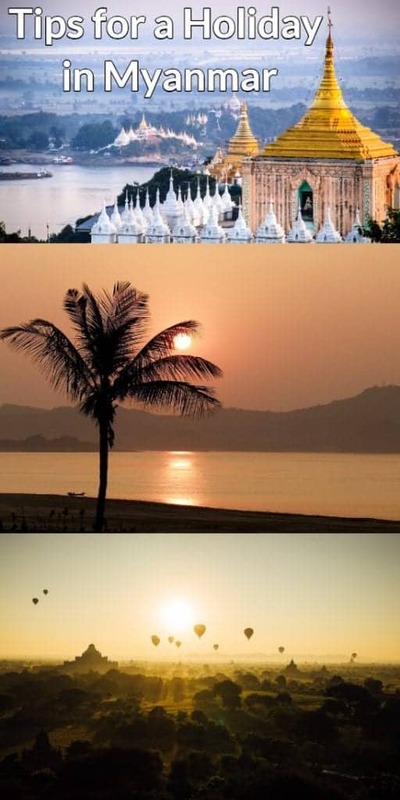 I’d love to visit Myanmar in the future. I never though it’d be expensive, as most of SE Asia isn’t for a European (! ), so I appreciate the advice. Bagan looks awesome, would love to visit one day, hopefully soon. Thank you, Lisa. And don’t worry, Myanmar still isn’t an expensive destination. It might be relatively more expensive than the neighboring countries because of the lack of tourist infrastructure but I think this segment is improving day by day. Bagan has been on my bucket list for a really long time. I love how serene and majestic it looks. These are some great tips for Myanmar. I’d love to read more about budgeting in Myanmar, since it is high on my bucket list. I love the tour recommendations you gave. I’ll definitely look into those. Happy travels to you! Thank you, Martha- I’m glad this post inspired you to visit Myanmar. Hopefully if my schedule permits, I could visit this place and explore this beauty, one at a time. And I also hope to share volunteering works to this country. I hope you visit soon, Blair- I think you’ll love it.